GAAP – an acronym for generally accepted accounting principles – is vital in financial reporting. But nearly 60 percent of companies fail to provide financials fully based on GAAP, according to a study by PwC US. Entitled, How non-GAAP Measures Can Impact Your IPO, the report analyzes 400 initial public offerings (IPOs) from 2011 to 2013. The study shows at least one GAAP measure wasn’t included in 65 percent of the IPOs. That one important non-GAAP (NGM) measure was EBITDA, the acronym for “estimated before interest, income taxes, depreciation and amortization” measures. This is risky for investors who should be considering good financial reporting. Good financial reporting enables investors to make astute financial decisions. Investors need to be able to assess the cash, timing and certainty of a company’s revenue. “Management teams, investors, regulators and ratings agencies are keenly focused on NGMs and how they are being used by new equity issuers,” said Neil Dhar PwC’s U.S. Capital Markets leader in a press release. “As companies prepare for an IPO, among the many choices they must make is how to utilize NGMs in their filings and in their communications with potential investors,” he said. “NGMs provide meaningful insight into a company’s liquidity, cash flow, and operating performance and using the right NGMs can help new issuers highlight key facts and circumstances to positively position themselves to the investment community,” Mr. Dhar added. — Adjusted EBITDA NGMs appeared in 46 percent of reviewed filings. 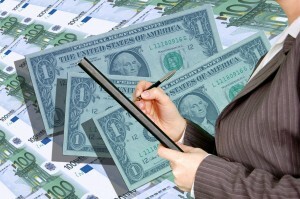 — More than 70 percent included an adjustment for stock, share or other equity based compensation. — Other common EBITDA adjustments related to impairment (33 percent), acquisition (20 percent), and restructuring & reorganization impacts (15 percent). — Eighty percent of the filings included at least one unique adjustment, which ranged from management fees to accretion charges, to income or losses from discontinued operations. Adjustments to EBITDA can be determined at the discretion of the company. It can vary significantly from organization to organization, impacting comparability between companies and industries. The PwC report also showed how some industries have developed other common NGMs in addition to or as a replacement for Adjusted EBITDA, That includes asset management, banking and capital markets and in entertainment, media and communications. After Adjusted EBITDA, other common NGMs in the financial statements analyzed included EBITDA (19 percent), adjusted net income (nine percent), free cash flow (four percent) and adjusted gross profits (four percent). “Companies should be ready to enter the IPO markets while the window is open and having their financial reporting in order from the start is a key factor in the process,” warned Mike Gould, PwC’s U.S. Public Offerings leader. “While NGMs are a key tool for companies planning to enter the public market, it is a complex process that must be thought through objectively to avoid potential missteps, unanticipated costs and delays in their offerings,” he added. How Twitter Levels the Playing Field for Small Cap Companies – Good news for venture capitalists and entrepreneurs who are known to kvetch that that their companies fall below the radar screen of Wall Street analysts and the media. It’s widely known that mainstream media coverage seems to favor large companies over small ones. But an academic study shows that Twitter can help such small cap companies gain market liquidity. How to Attract an Angel Investor – Now that a UNH study indicates early stage financing by angel investors is more advantageous than venture capital money, what now? An angel investor offers seven tips. What No One Tells You about Raising Investment Capital – Tepid economy or not, investment capital is indeed available. That’s true during all economic cycles, according to leading consultant Joey Tamer. What Should You Divulge When Asking for Investment Capital? – If your startup is the next big thing, but you want venture capital, you can start smiling. Yes, financing has been difficult to obtain in recent years. But entrepreneurs wanting venture capital have reasons for at least a small celebration – the money is starting to flow again after the Great Recession took its toll. In Retrospect, Was GM’s IPO Practical or Political? – A leading expert on initial public offerings, Francis Gaskins, is not wowed by General Motors’ IPO. That’s despite GM being profitable in 2010.